This road trip along Greece's northern border will take you to two amazing lakes in a less-traveled part of the country full of natural beauty. 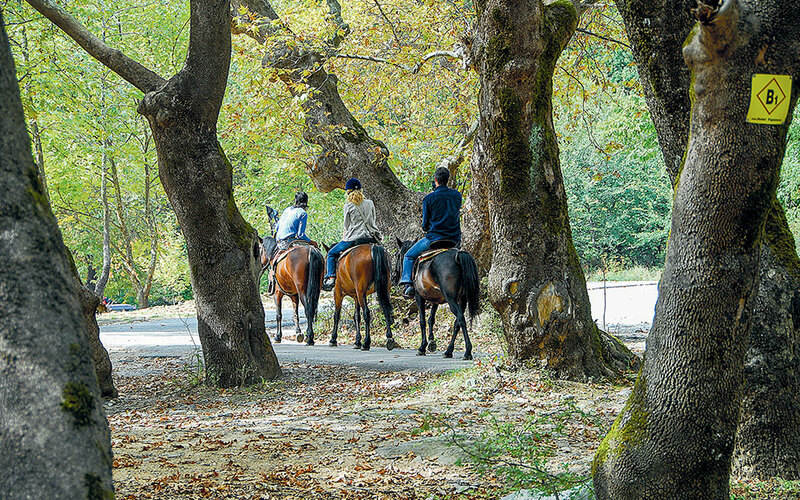 Near Greece’s border with FYROM and Bulgaria, a unique route passing between two lakes will reward you with views of endless plains, bucolic scenes, and, along the second part of the journey, the grandeur of Mount Beles. Start from Kilkis, heading for Lake Doirani. The provincial road has just one lane in either direction, yet poses little difficulty; traversing only fields, the road has few bends or other challenges. The lake is the natural border between FYROM and Greece, and one third of it belongs to our country. Just a short distance after the village of Doirani, there is the border post and the opportunity to head in to the neighboring country, and drive for a few kilometers along the lakeside road (note that if you are driving a rental car it must have a special green card to cross the border). Returning to Greece, turn left to reach the lakeside road again, and head towards the village of Mouries. Before reaching the settlement, make a stop at the site known as Hilia Dentra (Thousand Trees). It is a unique forest with centuries-old oak trees, which has been classified as a protected natural monument. In between the enormous trees, you will find benches ideal for picnics. From there, you will need approximately 35 minutes to travel the 27 km to the village Ano Poroia, in the foothills of Beles. The road is relatively straight, yet provincial, and after the first 15 km, it becomes rather narrow with a few curves as your approach your destination. The village has an amphitheatrical view of Lake Kerkini. Hotel Epavlis is a reliable choice for your accommodation, with comfortable rooms, suites and maisonettes. The following day, start early for the banks of Lake Kerkini, passing through the village of the same name. 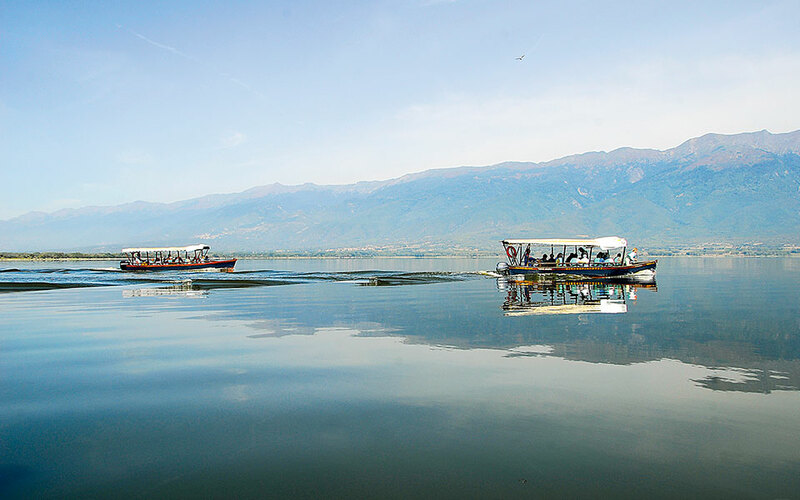 After 10 km you will arrive at the small harbor, where you can rent a boat to explore the lake or just admire the landscape. Driving eastward, after approximately 25 km you will come to the village of Vyroneia. At the old railway station, the taverna Methoriakos Stathmos now operates with many local delicacies and a great variety of Greek beers and spirits. Alternatively, you might want to make a stop for food 4 km down the road, in Neo Petritsi village. The creek of Soultanitsa, which springs from Mount Beles and feeds the river Strymonas, has shaped a verdant landscape featuring lush vegetation, picturesque bridges and walking paths just above the village. This is where you will find the taverna Oasi (Neo Petritsi, tel. +30 23230 31330) offering high quality meat and generous portions. Approximately one-and-a-half kilometers after Petritsi, you will find a brand new road that connects Serres with Promachonas and the Greek-Bulgarian border crossing. Follow the signs towards Fort Roupel and after 14 km you will arrive at one of the most important forts on the Metaxa Line, where key battles during the Second World War took place. The guided tour includes the maze-like underground areas of the fort, and a narration of the historic incidents that took place here. The last 16 km of the journey up to the village of Agkistro are the hardest, since the road is very narrow and has many bends, many of which are sharp. When you arrive in the village though, you can relax in the Byzantine baths. The waters are approximately 40 Celsius degrees, and each pool is private, able to host up to 4 or 5 people. The Paroraia Boutique Hotel is a convenient option due to its proximity to the baths. From its rooms, you will enjoy glorious views of the mountains. The recommended route Kilkis – Agkistro is 120 km.